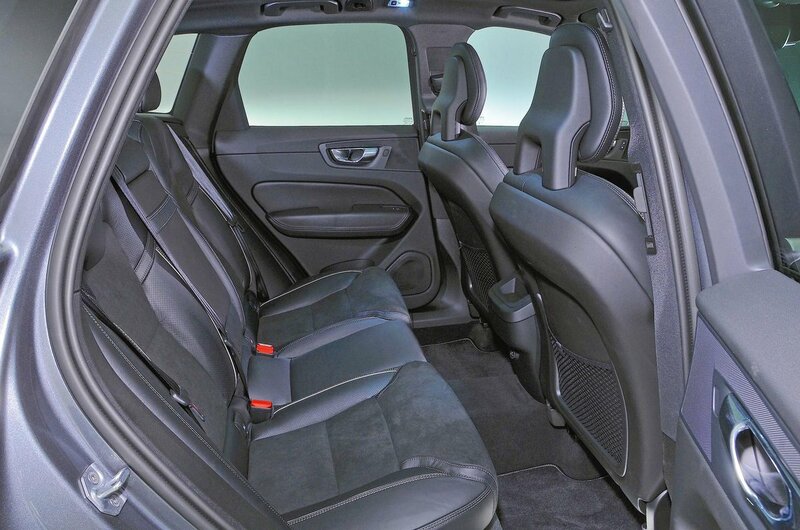 Volvo XC60 Boot Space, Size, Seats | What Car? You won’t have issues fitting in the front of such a big car, even if you’re very tall. The front seats slide back a long way to accommodate those unusually long in the leg and there’s loads of head room, too, even if you go for the optional panoramic glass roof. Admittedly, the Land Rover Discovery Sport is bigger still, but Volvo’s penchant for light-coloured interiors gives the impression of more space than there actually is. 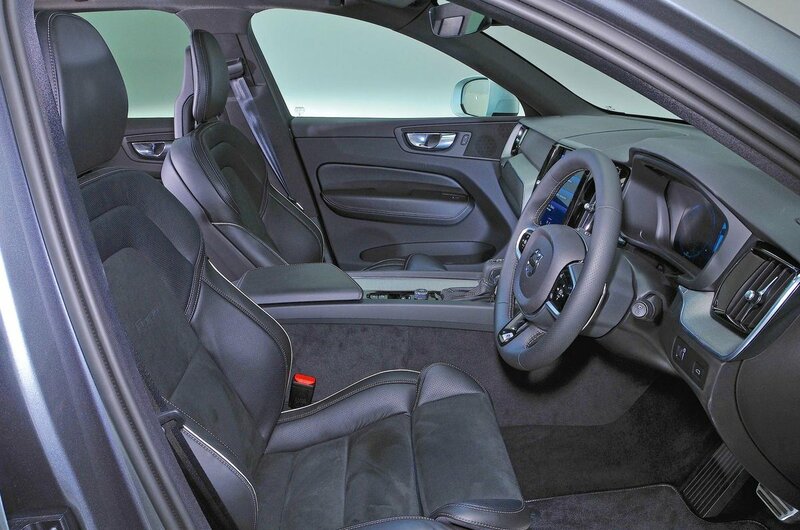 As for stowage, there’s a deep bin beneath the centre armrest and a cubby behind the gearlever that has a sliding cover to keep valuables out of sight. The door pockets are easily big enough for a one-litre bottle of water or a big sports drink. In the back, a Discovery Sport may offer an extra centimetre of space over the XC60 here and there, but even very tall folk will still appreciate how much knee and head room the XC60 offers. Head room remains impressive even if you add the optional panoramic glass roof; this isn’t always the case with some competitors, such as the DS 7 Crossback. The XC60 is also broader inside than many of its key rivals, meaning shoulder room for three adults sitting side by side is surprisingly good. However, whoever gets the middle seat will have to straddle a raised tunnel that runs along the floor. All versions have five seats; this is par for the course in this class. However, the Discovery Sport has an extra couple of occasional pews right at the back that's useful on those rare occasions you need to carry seven. The XC60 gets all the basic seating flexibility tricks. You get 60/40 split-folding rear seats as standard and they can be dropped at the touch of a button (much like those in the Mercedes-Benz GLC) if you fork out for the optional Convenience Pack, saving you the job of pulling manual levers. However, it’s a shame that the seatbacks aren’t split in a 40/20/40 layout as they are in the Discovery Sport as standard or the Audi Q5 with an optional pack fitted. It’s also a pity that you can’t have sliding and reclining rear seats; again, this handy feature is standard on the Discovery Sport and optional on the Q5. 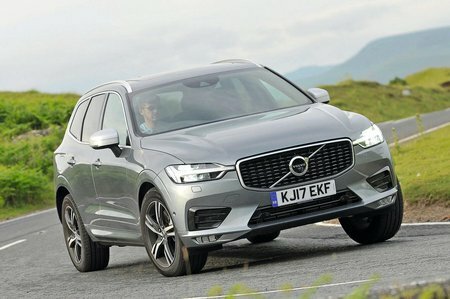 This is another area that the XC60 can’t quite cut it with the class best. Officially, there’s 505 litres of space to play with – about 10% less than what you get in a Q5 or BMW X3. That’s mainly because the boot is quite shallow. This is reduced further in the T8, because much of the electrical gubbins sits under the boot floor. However, it’s still big enough for most families’ needs and will easily swallow eight carry-on suitcases – that’s one more than what a DS 7 Crossback can do. There’s no lip to negotiate at the boot entrance, either, and folding down the 60/40-split rear seatbacks leaves a completely flat extended load bay free from annoying steps or crevices. The fact that the load bay is a uniform shape with no major wheel arch intrusion also helps and all trims come with a through-load hatch in the middle rear seat for carrying skis or other long, narrow items. You also get a powered tailgate.